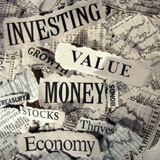 At some point you will need to make changes to your investment portfolio. Often, investors and their advisors make wholesale changes all at once. But that’s not really in your best interest. Read on to find out how to successfully adjust your portfolio. Using the wrong strategy at the wrong time can be devastating. Perhaps you’ve decided to make changes to your portfolio. It may be to take advantage of some strategies or it could be because your life situation and needs have changed. Or it might be that you’ve neglected your portfolio garden and there are as many weeds as vegetables. Regardless of the reason, keep these steps in mind. They’re the ones I follow when transitioning a client’s portfolio. You need to analyze your existing portfolio. Take a close inventory of your investments and research their performance. The last thing you want to do is to cut down the wrong plants while you are weeding your garden! It takes more work but it’s better to calculate your actual return. Subtract what you invested into a particular holding from what it’s worth now. Look at that return in relation to the length of time you’ve held it to determine whether or not it needs to go. You may need to change your attitude toward investments. It’s easy to become attached to a particular investment. Don’t. It’s there to make you money. If it does great. If not, find another that will. Constantly ask yourself, “If I were investing this money today, would I buy this investment?” If not, then it’s a weed. See if there are surrender penalties or other charges associated with getting rid of the weeds. If it is a mutual fund, there are penalties associated. Annuities are notorious for onerous penalties. Wait for the right time to sell your weeds. There may be an investment that you want to change that is currently trending up. Don’t sell it then; wait until it starts to decline in value. Doing this for my clients has earned them several percent just by watching and waiting. Conversely, after the weed is sold, don’t feel rushed to jump right into another investment. There are cycles to every type of investment. Wait for the right time. If it’s a stock, determine a buy ceiling—you’ll only buy it if it trades at or below that price. Then wait. Even if it takes months, it’s better to keep that money in cash than to pay too much. Closely tend your new garden. We can’t throw some seeds in the ground, ignore them and expect to come back later to reap a harvest. Gardens must be tended. So does a portfolio. No matter what the investment, it is important for you to monitor each one and to make adjustments when necessary. Some advisors want you to think that if you buy a certain product; all your worries will be gone. You can set it and forget it, they say. It’s not true. In these cases, they are the ones who are going to set it and forget it! You’re better on your own than using one of these advisors. Like gardening, investing is hard work. There are some that really enjoy it, while others just want the harvest. If you don’t have the time to properly tend your garden then find a professional who will do it for you. Ask them how they would transition your portfolio. If they don’t follow these steps it’s a clear sign they aren’t the advisor for you. Have you planned for Your Family’s Financial Security? A very interesting and worthwhile article, Robin. I need to both weed and plant.. Thanks for your visit. You are right experience is a good teacher, unfortunately some of us have to learn the hard way. The good thing is that you know what you need to do, weed and plant. Good luck.